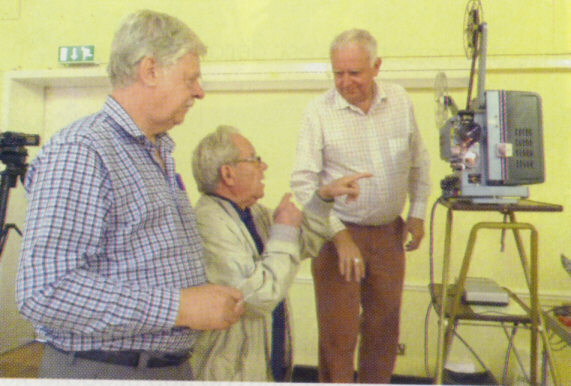 The UK Group 9.5 club were the hosts to this year's 9.5 International event, held in the UK in Harpenden, Hertforsdshire, just north of London. About thirty five had booked in at the Harpenden House Hotel, whilst forty six enthusiasts attended the Gala dinner. The hotel had a 4 star rating with very comfortable and spacious rooms. It was conveniently situated just 200 yards away from the halls where the competition films were screened and the Get-Together, which culminated the event, held. Attending the Festival were eight from the Nederlands, four from France two from Germany and two from the USA (Dino Everett and his wife). On the arrival day of Friday, all those that attended were prsented with a 'goodie bag' containing a luxury pack of biscuits along with an appropriately illustrated cine and film digital timepiece. 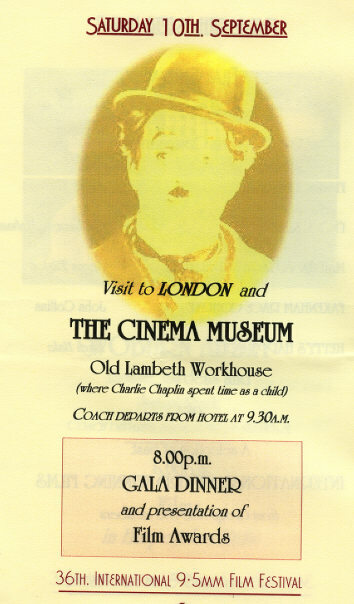 In the evening, the first batch of competition films were screened - luckily the venue at Harpenden had been used by the UK Group 9.5 Club for a number of years - the Harpenden Halls are literally next to the Harpenden House Hotel so what could be easier than to go next door for the film show before adjourning back to the hotel for dinner? 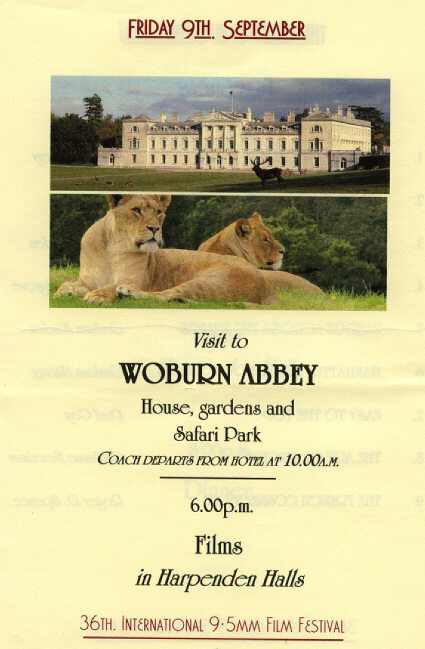 Friday there was a coach trip to Woburn Abbey - a classic English country house with formal gardens and a Safari Park. The house has a large collection of paintings including a Canaletto and ceiling painted by Cipriani in 1770. Then back to base for more films next door and dinner in the Hotel again. 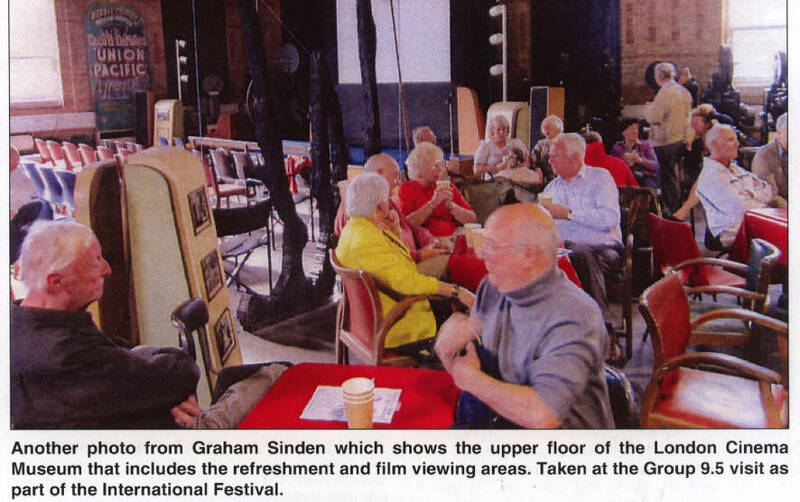 On Saturday 10th September forty guests climbed into a coach for a visit to London and the Cinema Museum. There was a tour of London sights with a short break at Parliament Square near Big Ben then onto the museum for a guided tour and a 45 minute vintage film show. 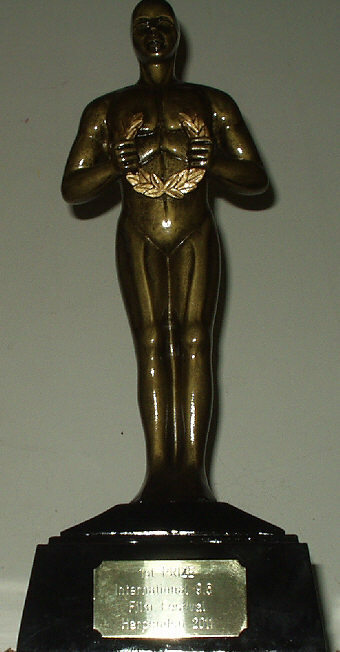 The evening featured the Gala Dinner with the usual speeches and awards. Sunday - the UK Group 9.5 Get-Together - what planning! 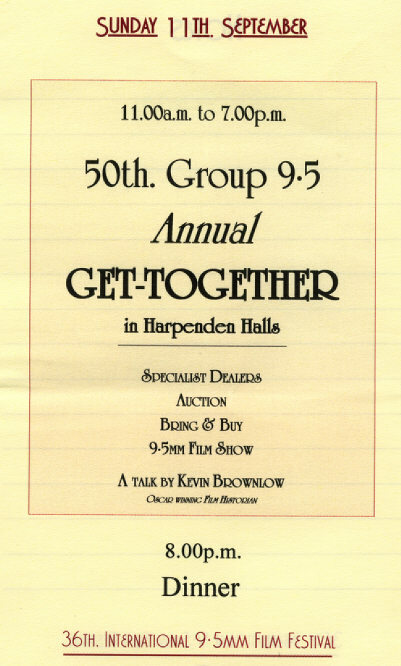 Finally the Sunday morning coincided with the UK Group 9.5 50th Annual Get-Together - wait, actually just next door at the Harpenden Halls! 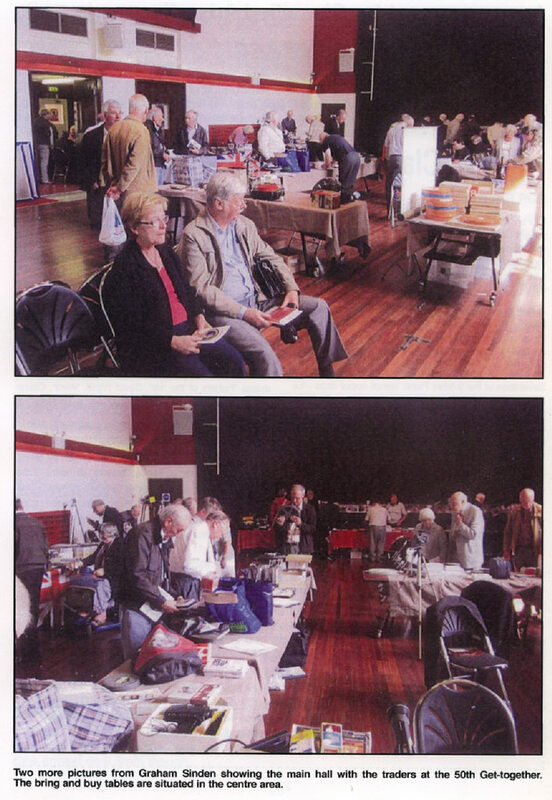 The usual dealers' stalls, auction, bring and buy, 9.5mm film show and a talk by Kevin Brownlow. And of course dinner back next door at the Hotel. 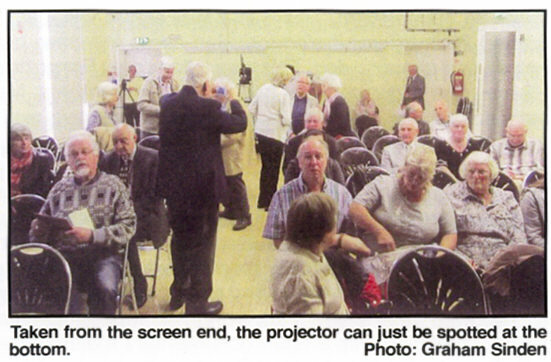 Superb planning and as far as I remember everything went off really well - a real credit to the organisers! Originally much of the planning was begun by our Hon. 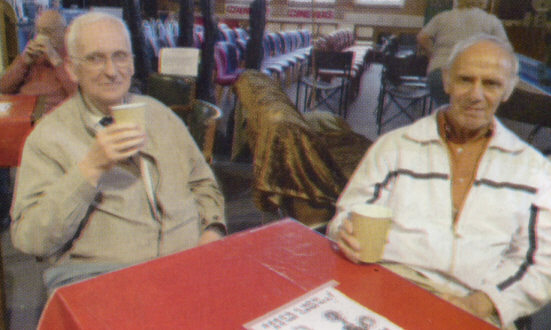 Treasurer David Erskine who sadly died some time before the event. 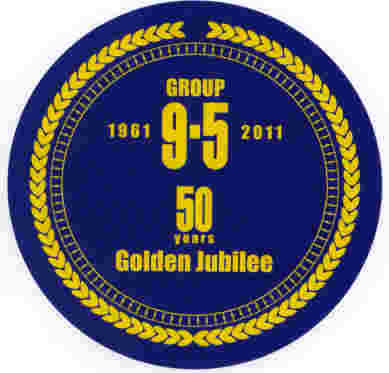 Luckily it was very ably run by the UK Group 9.5 Club Hon. 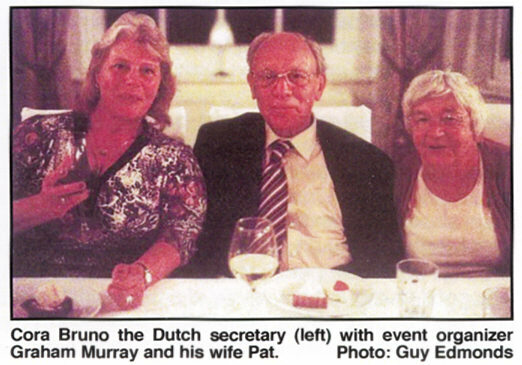 Chairman Graham Murray and his wife Pat. 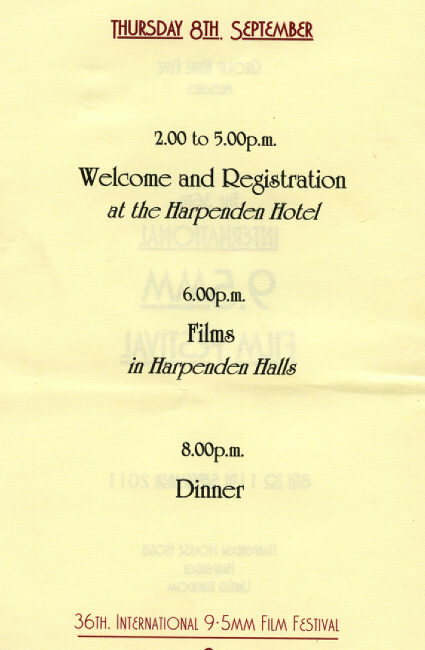 The 9.5mm film competition was held, so conveniently, in the Harpenden Halls right next door to the Hotel. 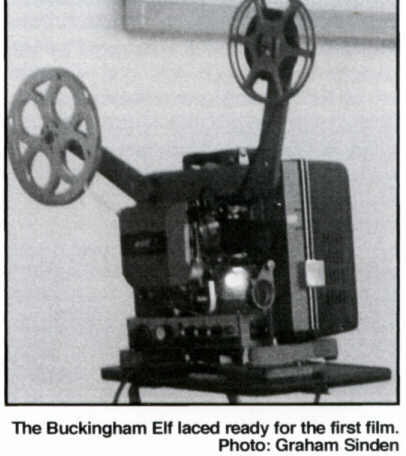 Projection was by yours truly, Grahame Newnham using one of my own Elf 9.5mm projectors (these are UK 'Buckingham' conversions from the 16mm models). With much needed help from Chairman Graham Murray with the various tapes etc. used for the sound tracks. 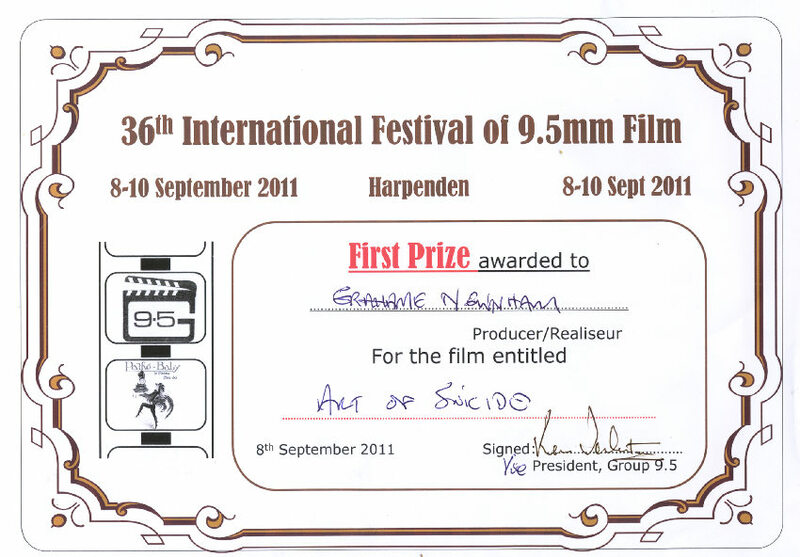 The 9.5mm film competition had been altered a little from previous years by having a section for short films of around just 2 minutes running time. Incidentally I know that my short film "I'm Walking" wasn't ready in time, so I entered "The Parcel" for this section instead. 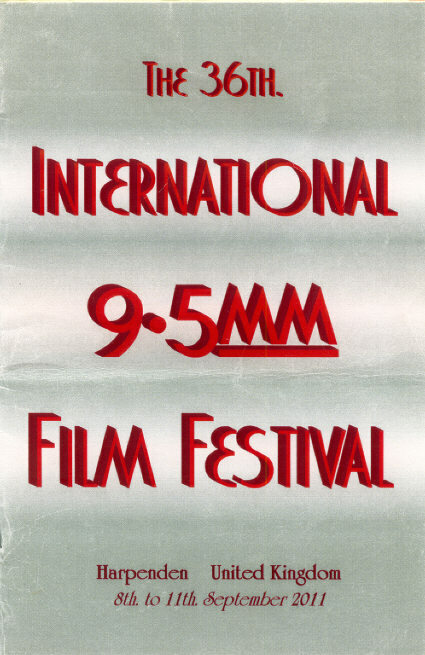 The initial evening show included the 'regular' films, whilst the following evening a selection of past 9.5mm award winning films was included to round off the evening. 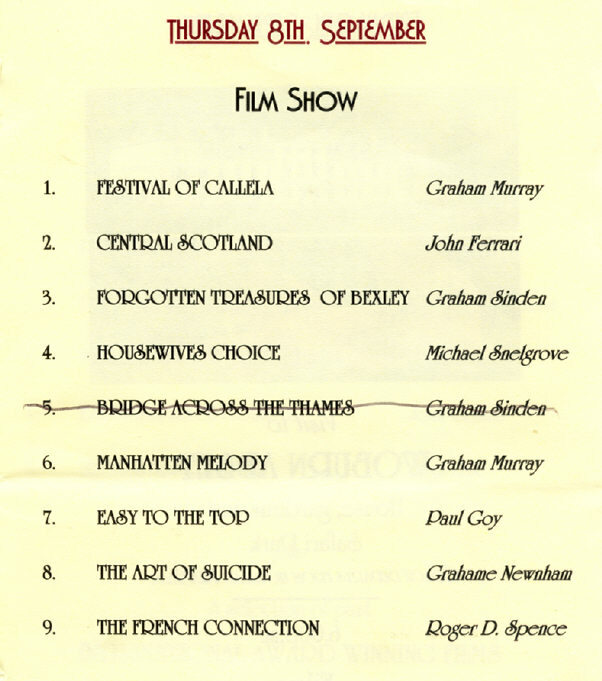 Believe it or not, my film "The Art Of Suicide" won first prize, with John Ferrari's film "Out and About In Central Scotland " coming second, and UK Group 9.5 Chairman Graham Murray's film "Manhattan Melody" taking third prize. I think my award and certificate can be displayed here! a dark comedy about a chap trying to end it all but attempts end in catastrophe! 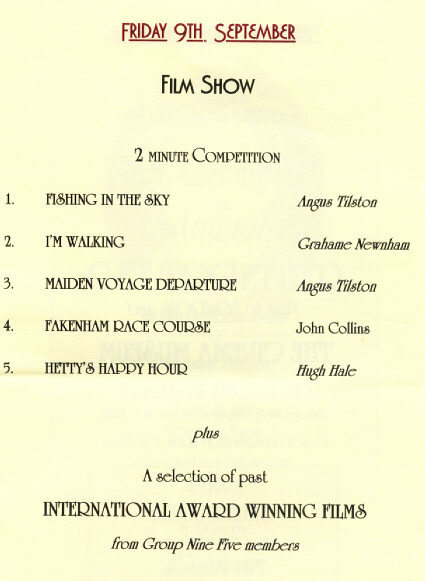 First prize for the short films went to Angus Tilston for "Fishing In the Sky" and the audience award was won by Hugh Hale for "Hetty's Half Hour".